Are you worried because your cat is peeing everywhere? Want to know the reason of ‘ why is my cat peeing everywhere ’ and the solution to it? Well, if your cat is habituated of using the litter box to pee but has started acting against the normal behaviour, it is a matter of concern. Urinating all around the house might appear irritating and troublesome but understanding the reason behind this and tackling the issue is even more essential. The unusual behavior in the peeing habit of the cat is an indication of a health related problem he/she is facing. Cat peeing everywhere is not only bad for your cat but for you and your household as well. The unpleasant and pungent smell of the feline urine is intolerable. It is due to the feline protein metabolism. So apart from the stains on your carpet, pillows and what not, the foul smell can create health issues for you and your family. What Are The Places Your Cat Is Peeing At? Unlike other pets, cats are gentle creatures. They won’t behave weirdly until and unless the saturation point of pain and discomfort is crossed. For the keepers to detect the uneasiness being experienced by them, cats find new ways. Peeing at odd places is one of them. He/she might spray on the walls of your house. Also, they will look for nooks and corners like closets, pillows, store rooms, etc. They may also prefer the garden to pee in the soil. Choosing all other places except the litter box can also mean that you need to pay extra attention towards keeping it clean. Cats do not like to use dirty and stinky places to pee. Since it is very evident that cats cannot talk hence, they make use of their disposal habits to convey their problem. The issue may vary from being medical to behavioural. What is appearing to be wrong on cat’s part is your fault. As a keeper, you are responsible for the problems that your pet is facing. As far as the health concerns are involved, there are numerous possibilities. It is not just the bladder infection that might be messing up with your cat’s health and thereby the mood of your cat. Other problems could be cystitis; the sterile inflammation, irritation caused by tiny crystals in the bladder or infection in the kidneys. Hormonal disorders like diabetes and age related brain function decline have direct influence on the sensory functions resulting in abnormal urinating habits. Apart from the mentioned reasons, urinary tract dysfunction is another disease that could be the cause of strange peeing habits due to painful urination. Cats avoid the use of litter box and pee wherever they find comfort as an effort to urinate without pain. There is a possibility of your cat suffering from stress, depression or other mental disorders due to any reason. One thing to keep in mind that health is not just physical. An unhappy cat can be expected to show such unusual peeing behaviors. Hence, it is not always the cat’s stubborn behavior but the problems concerning the muscles, nerves and joints that cause discomfort in using the litter tray. If not a health issue, problems like a disturbance in their physical environment might be the possible reason. Cats don’t like any changes in their surroundings. Your cat might not be willing to accept changes around her, such as changing of your apartment, replacement of the litter box, modification in the interiors of the room or a weeklong stay of any guest at your place. Moreover, have you ever thought if your cat has formed any negative association with the litter box? It might be the misconception about the litter box being the cause of pain while urinating or the bad memories about punishments your cat might have experienced near that litter box. The third possible reason is concerned with the behavior of the animal. Cats prefer to stick to their practice. If they have got used to peeing at a particular spot, the smell will evidence the place as the right spot to pee over and over again. Moreover, it is possible that the cat is marking its territory. They usually do so when they sense any threat. Last, if you are facing a problem with your cat that is reluctant to pee on certain kinds of material like carpet, soil or fabric, the litter box is the reason behind. Perhaps it is so low that the litter gets piled up on one side. Other materials being better absorbents give cats a good option to pee. Since you have understood all the possible reasons for the burning question in your mind ‘Why does my cat pee everywhere?,’ it is time to know the ways to stop your cat from peeing everywhere. In spite of knowing about the various possible reasons, it is quite difficult to predict if the problem is medical or behavioural. Hence, it would be recommended to consult a good vet. 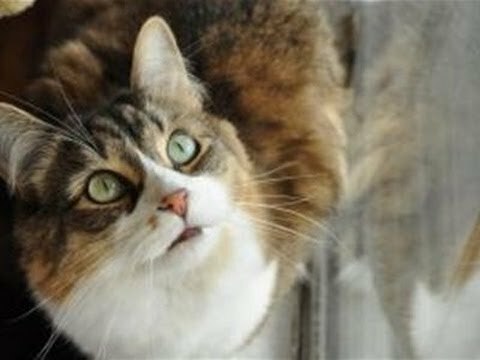 But if the strange gestures and actions are due to the environmental changes, you can take care of certain things to help your cat. A cat's world is as small as the size of a room. So, try to keep it the same. If you want to change the place of the litter box, keep another one at the same location until the time your cat can adapt to the modification. To stop her from peeing at inappropriate places again, quickly clean up the mess and try to get rid of the smell. As long as your cat will get the smell of the urine, she will pee in that particular area only. Use of odor neutralizer will help you this case. Alternatively, you can use aluminium foil to cover the area where the cat is peeing. Cats don’t prefer the smell and sound of the foil, and hence this will keep them away from peeing at that place. Homemade vinegar solution and citrus extract can act as excellent cat repellents as well. Cats hate the smell of citrus. Try to keep your cat happy. Proper and healthy food, clean drinking water and a comfortable safety zone for your cat will help her in getting rid of any such awkward peeing situations. If you have more than one pet at home, keep their litter boxes separate. In fact, it would be better if you maintain two boxes for each pet. If you have changed the litter box, try to sprinkle the old one on the top so that the cat could easily accept the change. The larger the litter box, the better it would be. Cats preferopen areas comparatively. Placement of the litter tray at the apt place plays a vital role. Cats prefer to urinate in private zones, away from the hustle bustle. Hence take note of the surroundings as well. Before taking any step, it is recommended to have the urine test of your cat by the vet. Declawing is a painful process and hence may be inducing irritation in the cat’s behavior. As a keeper, you need to take steps to lessen the pain. Use of paper litter feels comfortable and soft on the cat’s paws. * You may learn more useful tips by reading Jackie's litter training guide. You can also watch this video to know how to stop your cat from peeing everywhere. Cats are very much like humans. They keep patience but burst out when things get out of control for them. Dealing with the problem is not tough, once you have figured out the reason. You just have to understand the animal’s psychology and physical state and act accordingly. The above-explained steps will help you get rid of the problem at the earliest. You won’t get to see immediate results. If the problem does not get resolved by the vet’s prescription, try at yourlevel to make your cat feel comfortable. With time, the cat will adjust to the conditions and will start behaving normally. I hope you have got the answer to the question ‘why is my cat peeing everywhere’ and have also understood how to stop a cat from peeing in the house. So, if you spot any such symptoms in your cat’s behavior, do not just neglect it as it may be life threatening in the later stage. If you like this article, then please share it with your friends and family. Feel free to share your feedback and comments in the comment box below.